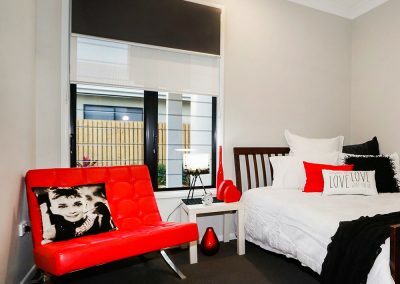 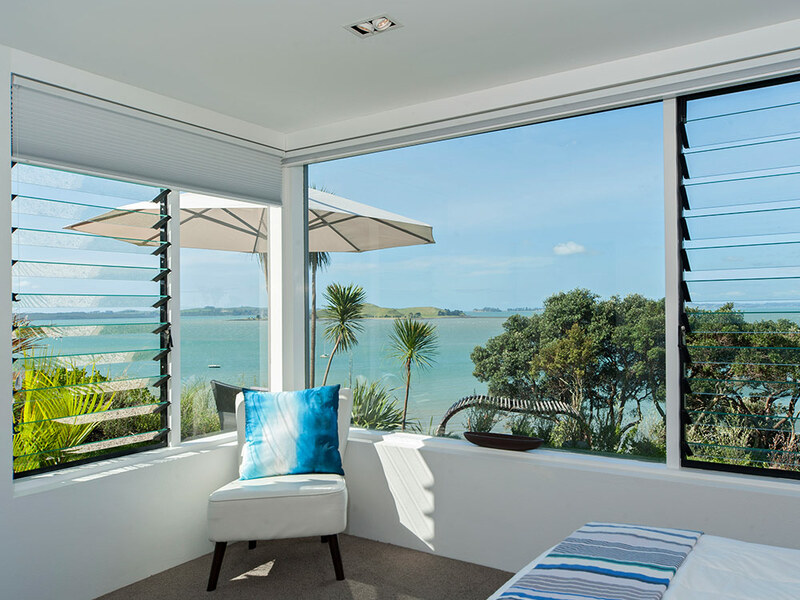 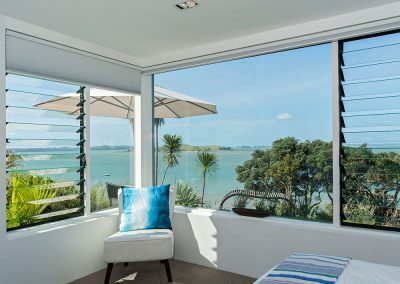 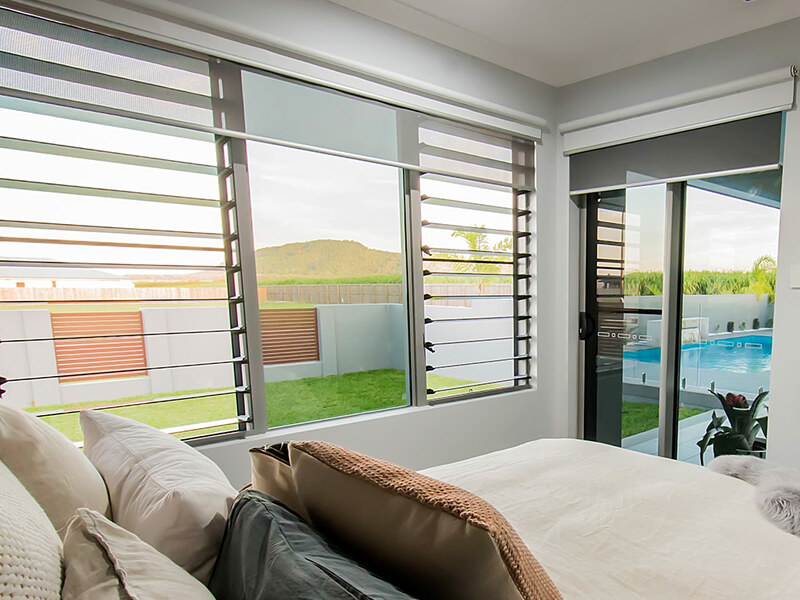 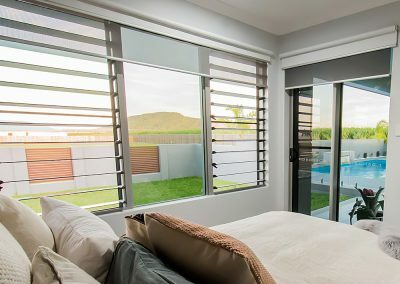 Blinds or curtains can be installed in conjunction with your louvre windows to help darken bedrooms or provide shading from the sun in living rooms if required. 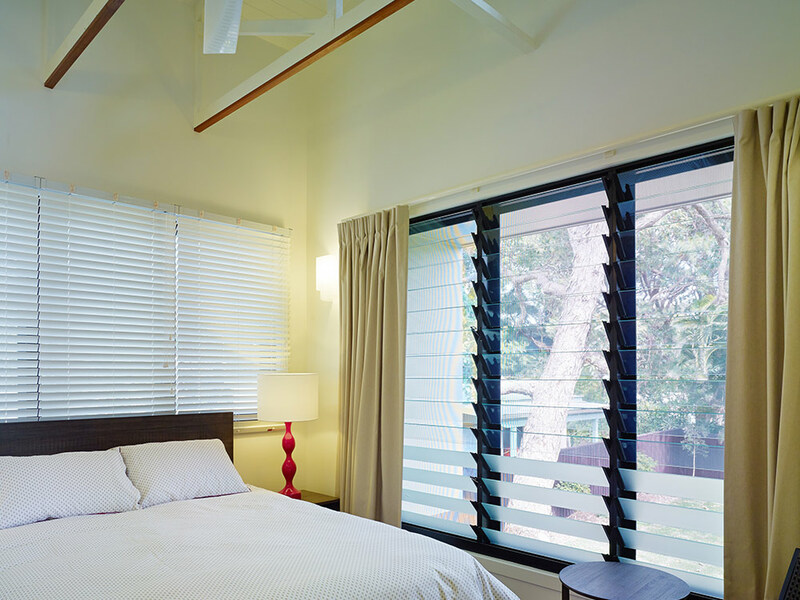 Take into consideration when ordering your louvres that the top blade can be fixed to assist with the installation of the blind above the window. Low Profile handles should also be specified as the unique shape provides a functional fit that won’t get in the way of the blinds or curtains.